Of course, being a kid means that Robin doesn't get the really dangerous stuff. No electrified weapons or Batarangs. But that doesn't mean Robin is under-equipped either. He has his own utility belt with smoke bombs and a Bo staff that he's quite handy with. A good side-kick needs to pay just as much attention to his accessories as any good superhero. For Robin, this includes a pair of green gloves. Green because they match the ensemble. Gloves, because it's unprofessional to taint evidence or leave fingerprints behind. 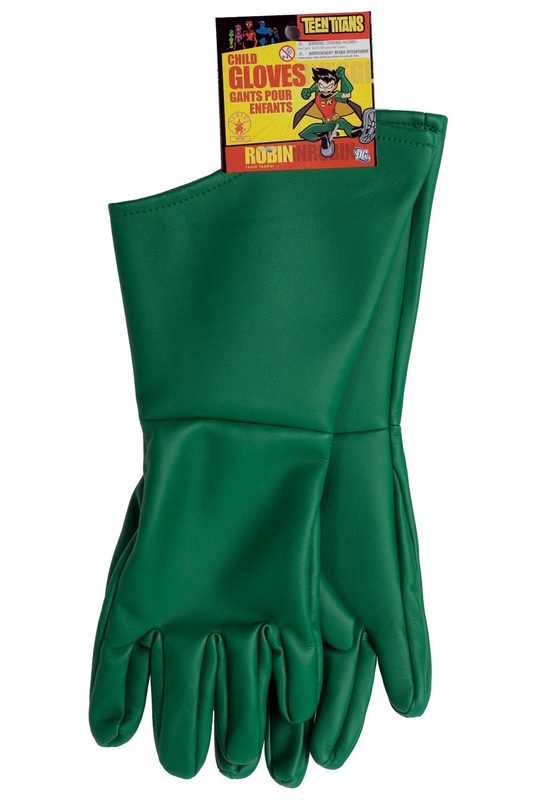 And our Kids Robin Gloves are just the thing for any Robins or Robin-wanna-bes you might know. Perfect for grappling with danger and punching baddies in the face. Finishing off the outfit with matching gloves is just a matter of professionalism, really.